Why rent? Call this condo home. Quiet & Convenient location near shopping, parks, schools and transportation. Bright unit with Western exposure. Great floor plan and spacious bedrooms. 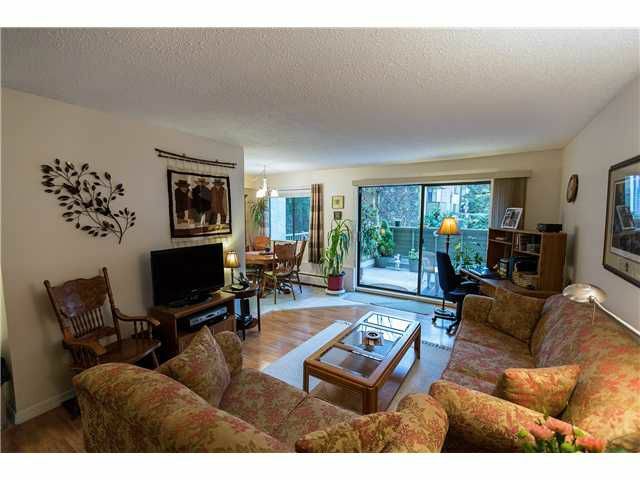 Enjoy the tranquillity of the surrounding trees offthe massive partially covered patio. Updates include; newer range, stove & built-in microwave, laminate flooring throughout,newer kitchen floor & counters, newer paint, etc... Bathroom has new tub & tile surround, sink, counter and tile floor. nice in-suite storage locker. Underground secured parking stall. Maintenance includes hot water heating & hot water. Rec.Centre has indoor pool, hot tub and sauna. Great value here!